On 27-28 June 2016 SedNet held a steer group (SG) meeting in Oslo. Main issues on the SG meeting agenda were the preparation of two upcoming SedNet key-events. The first event is the 3rd SedNet Round Table Discussion (RTD) “Elbe meets Danube” (8-9 November 2016, Budapest). The objective is to exchange experiences between both river basins, and other river basins are welcome to join, on integration of sediment management in WFD River Basin Management Plans (RBMP). Inspired by the work done by SedNet, the SedNet SG member Peter Heininger (BfG) led the process that concluded in the 1st example of full-bodied inclusion of sediment management in a RBMP, i.e. the one for the Elbe. SedNet, in close cooperation with the river basin commissions of the Elbe and the Danube, now organize this RTD. The 2nd event is the 10th International SedNet conference “Sediments on the Move”. This conference will be held in Genoa, 14-17 June 2017 – see article further in this newsletter. The SedNet SG was invited by the SG meeting host NGI (also a SedNet SG member) for a nice dinner in the new Olso Opera House. 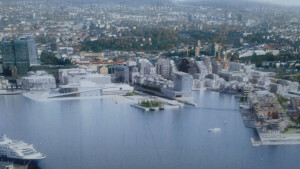 This is a special place for SedNet as the 5th SedNet conference was held in Olso in 2008, having as conference title “Urban sediment management and port redevelopment”. Especially the management of contaminated dredged material from the harbor in front of this Opera house was in 2008 the reason to have this conference theme. Although environmentally it was regarded the most sustainable solution to dispose this material a bit further in a very deep spot of the Oslo Fjord, action groups caused a lot of concern, delay and thus also costs increase of the dredging operations. 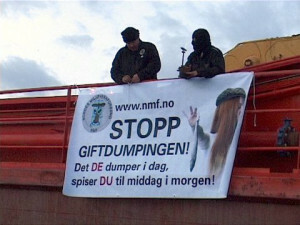 Even today public concern and opposition hamper management of dredged material in Norway. Authorities investigated the case in eighteen months, and then had to withdraw charges for violation of pollution law. SedNet continues to provide a much appreciated platform to all stakeholders, including scientists, to discuss and find generic ways forward to cope with such and other complicated European sediment management issues. Especially where these issues relate to European policies such as the WFD, MSFD, Natura 2000, Biodiversity Strategy and Waste Directive. Ms Mafalda Carapuço, who is a researcher at the Faculty of Sciences, University of Lisbon, Portugal. Mafalda’s research focuses on the development of approaches to improve the transfer of scientific knowledge to non-scientific audiences. Her goal is to contribute to a knowledge-based society, a vital step towards sustainable coastal and sediment management. Ms Jasmina Obhođaš of the Ruđer Bošković Institute in Croatia. The Ruđer Bošković Institute (RBI) is a national centre for the natural sciences research . Together with her colleagues, Jasmina has founded the Laboratory for Nuclear Analytical Methods (LNAM) in 2009. The LNAM researchers have great experience in the development, integration and testing of the nuclear and atomic technologies in various fields including environmental monitoring. Participation in the SedNet network helps sharing of knowledge with other stakeholders. Jasmina looks forward to participating in discussions/initiatives on sediment quality, effects of remedial measures, climate change effects, sediments as a resource, establishing a European Atlas of Coastal Sediments, and deep sea sediment research. The 10th International SedNet conference “Sediments on the Move” will be held in Genoa, 14-17 June 2017. The event is co-organised/hosted by the University of Genoa/DISTAV and the Port of Genoa Authority. The Call for Abstract will be published by the end of September. It is with great sadness to announce that we have lost Prof. dr. R.W.P.M (Remi) Laane on May 31st this year. Remi was one of the founding fathers of SedNet. The idea to start SedNet emerged from a sediment workshop organized in April 2000 at the GKSS Research Centre, in Geesthacht, Germany1. Remi was one of the workshop participants and immediately, when the idea was raised, it met Remi’s full interest. Very much due to Remi’s enthusiasm, convincing power and support, the idea could mature into a successful proposal to the European Commission for a 3-year project (2002-2004) with the aim to set up a European Sediment Network, i.e. SedNet. In those days Remi was working as a marine expert at the Dutch, National Institute for Coastal and Marine Management (RIKZ). This institute merged in 2008 with others into the new, independent applied research institute Deltares. 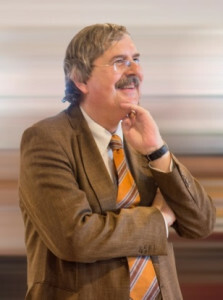 Here he continued working till his retirement, amongst others as an affiliate professor at the University of Amsterdam, holding a special chair in Marine Biogeochemistry. When the SedNet project kicked-off, he put Joop Bakker – one of his younger RIKZ colleagues – at the front to participate in the project. But Joop was always fully backed-up by Remi’s on-going support and wisdom. This typically demonstrates how we will remember Remi: always recognizing and supporting good ideas, but not having to be in the lead to receive the credits. Rather giving his younger colleagues the opportunity to ‘shine’. That is what we will sadly miss. Deltares is working on the quantification of the large-scale coastal sediment budget of four countries in West Africa: Ivory Coast, Ghana, Togo and Benin. The main objective of the study is to quantify natural sediment transport patterns and the potential effects of major human interventions and climate change on the sediment budget and consequent shoreline changes. 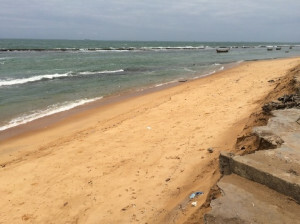 The coast of West Africa consists of a narrow low-lying coastal strip maintained by sediment from rivers that is transported along the coast by waves and currents like a “sand river”. The coastal areas are home to 31% of the region’s population — which is growing at a rate of four percent annually. The coast also accounts for 56% of the region’s GDP. Today, however, much of the fluvial sand flow is blocked by river dams and/or interrupted at several locations by harbour jetties. The sandy coastal barrier is therefore eroding almost everywhere; the situation is already critical and it is likely to degenerate in the future due to climate change. The project is part of the World Bank’s West Africa Coastal Areas Program (WACA), a convening platform that aims to help countries obtain financing and expertise to sustainably manage their coastal areas. The program was established in 2015 in response to requests from West African countries to manage coastal erosion and flooding, promote climate-resilient coastal management and improve livelihoods of West Africa’s coastal communities. Partrac have been assisting academic staff and researchers from Mississippi State University to implement a beach sediment tracking study on Deer Island, Mississippi , the closest barrier island to the Mississippi Gulf Coast. The study was commissioned and funded by the Mississippi Department of Marine Resources’ (DMR) Mississippi Tidelands Trust Fund Program. It is being undertaken to examine and better understand pathways of alongshore sediment transport, the rate of movement, and predominant direction on the foreshore of the sensitive Deer Island Mississippi Coastal Preserve, which is an official DMR Gulf Ecological Management Site (GEMS). Partrac’s role in the project was to assist with study design, deployment of their proprietary dual signature tracer material at the site, and subsequent sampling and analyses efforts. Wiertsema & Partners together with Flanders Hydraulics Research investigated on behalf of Groningen Seaports the influence on the manoeuvrability of a vessel when sailing with a small and negative under keel clearance in the harbour of Delfzijl by performing a full scale field test. 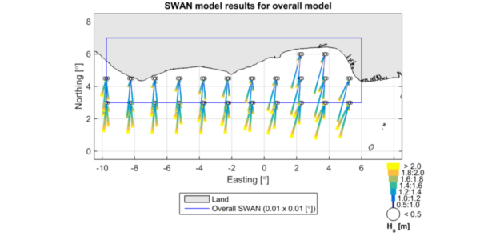 The full scale field test was performed in May 2015 during spring tide corresponding to a negative under keel clearance up to -5% UKC at low tide. Several trials were performed during the full scale field test in the harbour entrance channel with different under keel clearances and changing from going inbound to outbound. The paper gives a summary of the full scale field test, used measuring techniques for qualifying the mud layer, an overview of interactions between involved parties and the results. The field test is part of the overall project ‘Sustainable Port Management’ for the port of Delfzijl. One of the primary goals of the project Sustainable Port Management is to investigate whether it is possible to optimize the tidal window of the port without a significant increase of the maintenance dredging volumes. One of the realistic approaches to increase the tidal window of the port is to implement the Keep Sediments Navigable method. This method has already been successfully applied in the port of Emden. In many of the world’s largest harbors, appropriate hydrographic survey is a necessary requirement in order to keep dredging costs low. The port of Emden succeeded in reducing the dredging costs by 90% with the help of a new dredging management and hydrographic survey with the density probe admodus®USP pro. In 1994, after many years of research, the port authority managed to maintain the fluidity of suspended sediments, which were carried into the harbor basin by the river Ems. This so called “sediment conditioning” is mainly based on the prevention of the fluid mud’s reconsolidation process by a regular treatment (recirculation). As a result, these sediments no longer have to be removed from the harbor basin and a lot of disposal costs can be saved. Until 1994, harbor maintenance dredging at the seaport of Emden was mainly based on the costintensive removal of suspended silt. This removal was done by a cutter suction dredger.To prevent expensive shifts of this cutter suction dredger, a trailing suction hopper dredger (TSHD) was used to dump its dredged material right in front of the cutting head of the cutter suction dredger to provide a constant silt supply. 9-12 January 2017: Battelle – Ninth International Conference on Remediation of Contaminated Sediments, New Orleans, Louisiana. More information at the conference website. 21-26 May 2017: 14th International Symposium on the Interactions between Sediments and Water, Taormina, Italy, organized by the International Association for Sediment Water Science (IASWS). Full details are available on the conference website. Selected papers presented at the conference will be published in a Special Issue of the Journal of Soils and Sediments.